This is an overview of the major items included in the Komodo 5.1 release. Komodo will now highlight the search term (in yellow), indicating where the matches are in your document(s). Komodo will also highlight the replacements that you make when using the find and replace dialog. See Trent's blog to see a short screencast and more details on this feature. 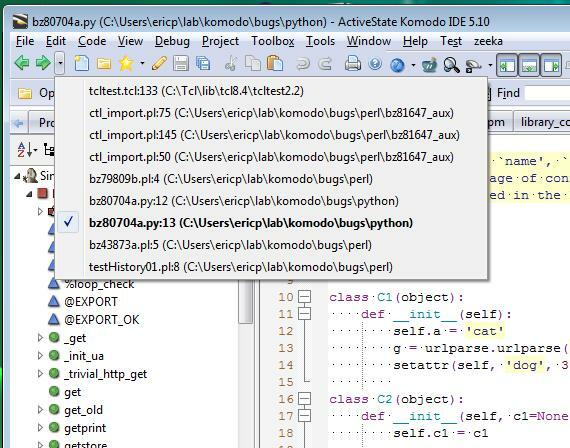 The "History" feature for Komodo is similar to a web browser's history, it allows you to quickly walk between your code movements and actions. When you hold down the Ctrl key (Cmd key on the Mac) and move the mouse around, Komodo will underline the interesting (interactable) points under your mouse cursor. This can be used for showing things like the goto definition search term, and when clicking on the hyperlink it will perform the goto definition command. Other cool uses for this feature are CSS color previewing and color picker interaction (screenshot below) as well as being able to click on a http link in the editor and have it open inside your browser. The fast open dialog provides a quick and easy way to access your files. You can use the dialog to list and filter the files within your current working directory, files within the current project, recently opened/closed files as well as being able to switch to a currently opened file. 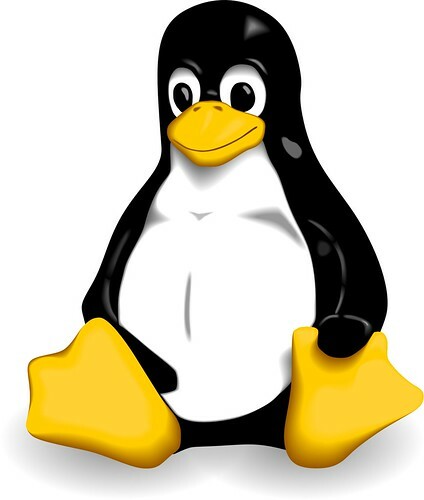 Finally Komodo has builds for running natively on 64-bit Linux. This means no more mucking around trying to find 32-bit compatibility libraries on Linux, yay! Davide Ficano (aka Dafi) has been working hard in the previous months on adding better localization support for Komodo, involving a number of patches to the OpenKomodo tree. These have now been checked in to the Komodo trunk and improved Komodo localization is now possible. Thanks for the great work Dafi! After downloading the update, Komodo started quitting. During this process it crashed and reported that crash in a window (I sent the crash report). Then it performed the update and restarted normally. Just wanted to let you know about this glitch during the upgrade process.